The lives of over 1.5 billion innocent people worldwide are threatened daily by direct violence and injustice. Individuals and organizations alike are calling attention to these vulnerable people, trying to sow the seeds for peace and justice. Activists risk their lives to raise awareness of human rights struggles, often ending up imprisoned or killed for tweeting an opinion or texting a photo. Organizations coordinate initiatives to create the space for peace and – whether in schools, in civic groups or in places of business – continue to prove that peacebuilding can work. 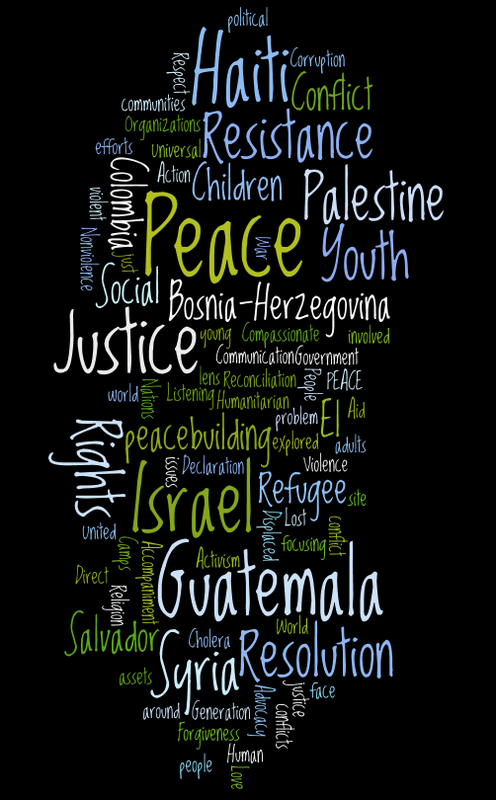 Cabrini College Communication Department seniors created this website based on over 60 interviews conducted with individuals and peacebuilding organizations worldwide. We chose specifically to focus on peacebuilding initiatives in Syria, Guatemala, Bosnia-Herzegovina, El Salvador, Haiti, Israel/Palestine, and Colombia. We found that peacebuilding often involves a three-step process: rights are violated; resistance is started; resolution is sought. For many, peacebuilding results in a RESOLUTION after conflict ends, an alternative to the hurt, pain and overall disruption. Blossoming out of an urgency to find a panacea are activists, organizations and engaged citizens. Throughout history though, RESISTANCE has been said to be the key to creating lasting change. Civil and political rights are difficult to gain – and it’s through nonviolent resistance that peacebuilding work has paved the way for peace. The international community has an obligation to uphold RIGHTS for everyone, rights that were initially agreed upon following World War II and formalized as the Universal Declaration of Human Rights. 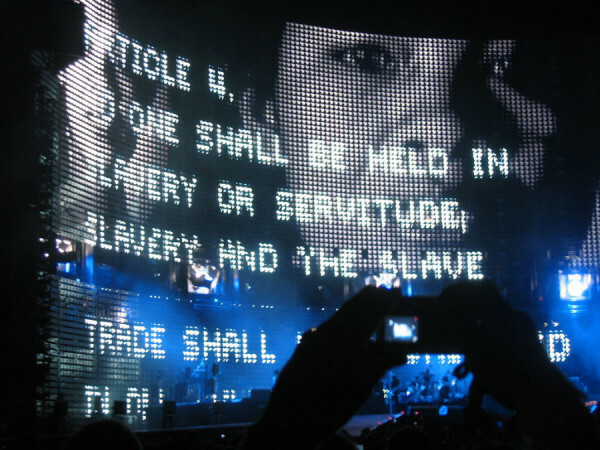 However, RIGHTS continue to be violated. RESISTANCE often turns violent, spiraling into out-of-control conflict. RESOLUTION seems like a far-off utopia – hard to achieve and perhaps unrealistic. But people out there doing this very work. They are the peacebuilders we profile. Presented here are their stories; some of success, others of slow progress. Permissions beyond the scope of this license may be available at [email protected].